Merry Christmas y’all! I sure hope this letter finds you at the end of an incredible 2012 and ready to tackle whatever God has for you in 2013! It’s been quite a year for our family! I remember thinking as I was writing last year’s letter…..next year will have to be so much better. Less challenges, more fun! I set goals to no longer allow Autism to keep us at home. We were going to get out and do more. Well, we DID do just that…….but it was a much more difficult year still. Cannon’s health problems continued to persist throughout the first few months of 2012. His hospitalizations went from being an every few month occurrence to every couple weeks. His doctors told us that we were out of options and had to go the surgery route. So, Cannon had his first surgery in May and a second in July. He had a Chait Button installed in his abdomen which allows us to perform an hour long procedure at home daily and eliminates our need for week long clean outs at the hospital. It was an extremely tough physical and emotional adjustment for Cannon which lead us to decide to homeschool him for this year and take the reigns of his behavior therapy. Complications have arisen in regards to Anemia and a mysterious bacteria in his stomach. We are working closely with his doctors to get all of these issues resolved so that he can be healthy enough to enjoy life and make the strides developmentally that we know he is capable of. In spite of everything we HAVE had a lot of fun! We went to the Ringling Bros. Circus, threw the boys a blowout double birthday party at Pump It Up, picked pumpkins at a local pumpkin patch, attended a Veggie Tales Live show, and ran a 5K together to support an organization we love (Beads of Courage). We also rode on the Polar Express train near the Grand Canyon, picked 11 pounds of apples at a nearby orchard, and went surfing with the pros of Surfers Healing on Folly Beach in South Carolina. Mark and I are so thankful that amongst all the yuck…..we were still able to give our boys some great fun! Thank the Lord! Mark is beginning his 12th year in Federal Law Enforcement. He spent too many months of this year on light duty after injuring both knees on the job. But after 2 separate and successful surgeries to repair each meniscus….he is feeling much better. He still enjoys all things old school. Music, movies, cars, and books. And the latter containing info and stories mostly about history. He is an old soul through and through. He is a personal jungle gym to our sweet boys and especially enjoys all kinds of fun with them at the park. I am still doing the stay-at-home mom thing. Adding teacher and behavior therapist to my load this year has been extremely hectic but also incredibly rewarding. I wouldn’t have it any other way! There isn’t a lot of time for anything else so I just try to savor time at home while experimenting with more involved recipes, making creative cakes, and fun activities with the boys. I continue to write a blog about our spiritual journey with Autism and life. It is my therapeutic outlet and allows me to share the ups and downs, educate others, and hopefully show that God is constant. No matter what your circumstance, trial, or struggle. I was also able to give 3 speeches this year on teaching children with Autism. With opportunities for more in the coming year. I am so so very thankful to be a vessel that could possibly help the Autism community in a small way. To God be the Glory! Cannon is a sweet, smart, cuddly, loving 5 year old boy. He can read just about anything you put in front of him and loves counting and math. As previously mentioned, he was able to go surfing again this year! And he got to surf with not just one…but TWO pros! One being the founder of the organization and former world champion who took him out riding the waves for almost an hour! He had such a blast! Cannon has also recently begun to enjoy shooting baskets. Which of course makes his momma super proud and is a lot of fun for us to do together! Townsend still continues to provide the comic relief in our house! He is always smiling, the master of silliness, and just pure joy! He began preschool this year as a friend of ours began one in her home. He and 5 of his buddies have really been enjoying attending. Learning a lot and playing together. Townsend also loves to cook with Mommy. Anytime I grab a pot or pan, I hear his little feet running down the hall to get his stool and come help. His favorite show on television is called “The Pioneer Woman.” One about a blogger, turned cookbook author, turned Food Network host whose family lives on a ranch and shares their adventures through food. He has the episode titles memorized and can even regurgitate many ingredients in various recipes. Some other faves are attending his Cubbies class at AWANA and doing art projects. Well y’all….that’s a rap on 2012! Just before Christmas, we were blessed to be able to take off to Disney World with my parents and little sister to celebrate survival of this year. And to send it off with a bang! What a blast! 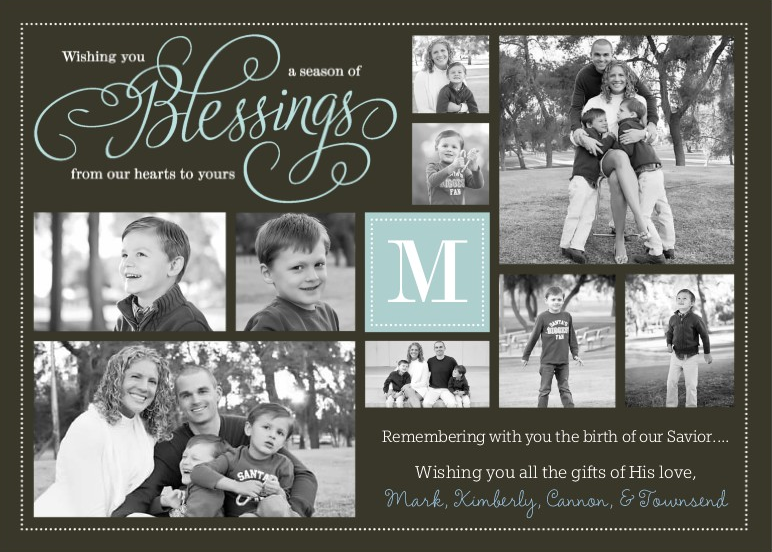 We pray nothing but blessings for you and your family for the coming year! We love each and every one of you and thank you for all of the prayers, encouragement, support, and love! Please follow and subscribe to our blog for updates on us throughout the year (www.throughcannonseyes.com)! We had a blast! Thank you so much for coming to us! We love you so so much!